Since 1993 Hawaii Forest & Trail’s vision to share the splendor of Hawaii Nei and inspire a deeper connection with nature has guided our success and growth. 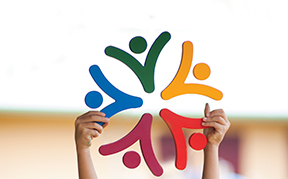 Supporting our local communities and resources is an integral part of our company mission. As we’ve grown, our ability to support and partner with organizations, communities and schools in Hawaii has grown accordingly. Now, with our expansion to Oahu and in recognition of our 25 years of operation, we’ve established a giving fund in partnership with the Hawaii Community Foundation. 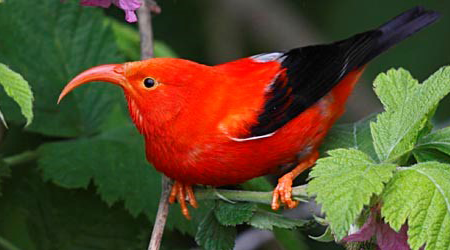 The ʻIʻiwi Fund, named after Hawaii’s iconic scarlet red honeycreeper and the featured bird in our logo, represents our continued kuleana to support, care, and advocate for the conservation of Hawaii’s native ecosystems, culture, and natural wonders. 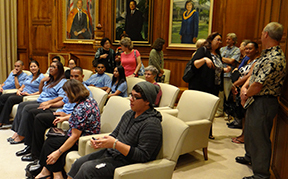 Hawaii’s environment and culture face a myriad of significant and complex threats. At the same time, the public’s understanding of and connection with nature is one of today’s modern tragedies. As an example, the Hawaiian Honeycreepers, a group of birds found only in Hawaii, is the world’s greatest example of evolutionary process among birds. The honeycreepers are also the most endangered with more extinctions than any other tribe of birds on the planet. Few who live here and even fewer who visit here have no clue that these natural wonders exist in our forests and that their survival depends on us. The ʻIʻiwi Fund is our small part in making sure the ʻIʻiwi doesn’t disappear. For each guest on tour, Hawaii Forest & Trail donates $1. We encourage each of our guests to match that dollar if they’d like, or give any amount they choose. (One of our first guest’s donation was $25,000!) Our industry partners and business vendors also donate money to the fund. Initial seed money for the fund of $10,000 came from a personal donation by our founders Rob & Cindy Pacheco. As the fund grows, we will periodically solicit requests for grants from qualifying organizations but will also entertain requests at any time. Promulgates the understanding and practice of Hawaiian culture and the dissemination and understanding of Hawaii’s natural and cultural history. It is the intent of the fund to give preference to entities who are based or whose work is performed in the communities where we operate tours. A 2.6% fee will be charged by the credit card processor and will be deducted from the amount of your donation. These fees are charged by the credit card processing company and not by HCF.